Standard length corsets made by Timeless Trends between the years 2012 – 2014. These corsets are the most slim in silhouette, offering very gentle curves. These are built to accommodate a ribcage 4 inches bigger than the waist, and hips 7 inches bigger than the waist – for instance, a size 24″ corset would have a ribcage of 28″ and hips of 31″ when completely closed. These corsets are mostly used for cosplayers and costumers who wear the corset more for fashion than for shaping, or to help flatten and smooth a large abdomen for those who are true “apple shape” (a large waist and smaller hips) – for instance, if your natural waist is nearly the same size as your high hip, this corset may be considered “tightlacing” for you. These corsets are also suitable for someone who just needs some light compression to overcome temporary back pain. 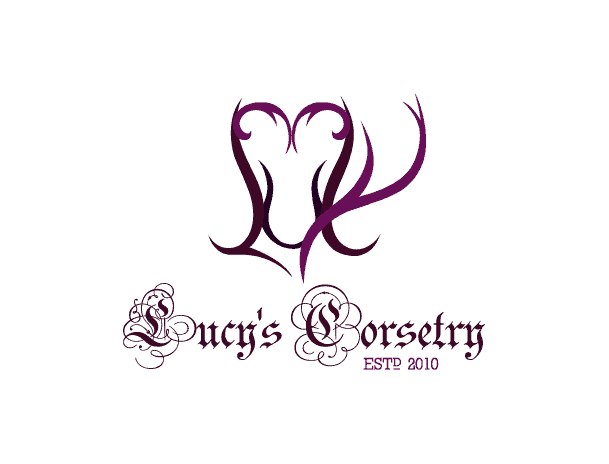 Please note: I recommend the slim silhouette corsets for clients only if they’re specifically looking for a very mild reduction or only for back support (not shaping) – this amounts to maybe 10% of all customers. The slim corsets tend to be more “tubular” or boxy in silhouette and some aren’t too impressed with the shape. If you are nervous about waist reduction or you’re not a fan of the hourglass silhouette, please fill out the contact form on this page and let me know your concerns, and we can discuss your needs. Because it’s not too dramatic in silhouette, these corsets are often purchased by any gender.